2000-present: Professor of Biochemistry. University of Southampton, UK. 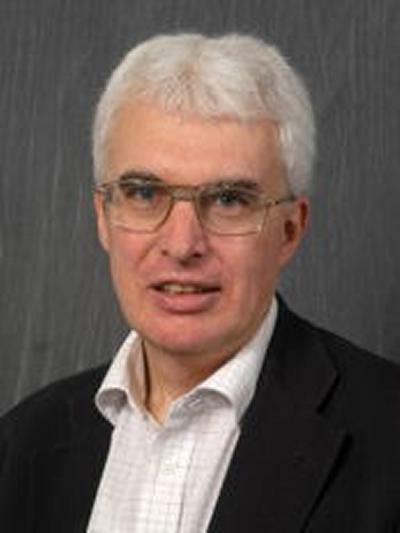 2012-2013: Acting Head of Biological Science. University of Southampton, UK. 1994-2000: Reader. Division of Biochemistry & Molecular Biology, School of Biological Sciences, University of Southampton, UK. 1992-1994: Senior Lecturer. Department of Physiology & Pharmacology, University of Southampton, UK. 1989-1994: Lister Institute Research Fellow. 1987-1991: Lecturer. Department of Physiology & Pharmacology, University of Southampton, UK. 1982-1986: Research Fellow. Emmanuel College, University of Cambridge, UK. 1980-1986: Research Associate. Department of Pharmacology, University of Cambridge, UK. 1980: PhD (Pharmacology). University of Cambridge, UK. 1978: MPhil (Pharmacology). University of Cambridge, UK. 1977: MA Natural Sciences (Biochemistry). University of Cambridge, UK. My research concerns the sequence specific recognition of DNA by small molecules, oligonucleotides and proteins, and the formation of unusual DNA structures (triplexes and quadruplexes). Compounds that bind to DNA in a sequence specific fashion have potential for artificially controlling gene expression and may be used as anticancer or antiviral agents. Several DNA binding antibiotics are currently used in cancer chemotherapy, and we are seeking to understand the molecular mechanisms by which they bind to DNA with a view to designing new agents with improved selectivity. In all our studies we make extensive use of the footprinting technique, using both natural and synthetic DNA fragments, and have developed this assay as a powerful tool for measuring the specificity, stability and kinetics of ligand-DNA interactions. This has been used to determine the sequence selectivity of several DNA-binding small molecules. For the past 15 years my work has focussed on triple helix formation as a means for targeting specific DNA sequences. Together with Professor Tom Brown (Chemistry) I have developed several nucleotide analogues, which are designed to form stable triplexes under physiological conditions. Using a combination of these we demonstrated the first example of four base-pair recognition of a DNA sequence by a triplex-forming oligonucleotide at pH 7. In order to facilitate our studies on the stability of triplexes, quadruplexes and small-molecule-DNA complexes we developed a high throughput fluorescence assay for determining DNA melting profiles. DNA quadruplexes can be formed by G-rich DNA sequences, and these may play a role in telomere structure or controlling gene expression. We have studied their biophysical properties studies, examining their stability, structure, and competition with DNA duplexes. Together with Professor Tom Brown (now in Chemistry, Oxford) we have developed a novel fluorescence assay for measuring the stability of DNA duplexes, triplexes and quadruplexes [Darby et al. (2002) High throughput measurement of duplex, triplex and quadruplex melting curves using molecular beacons and the LightCycler. Nucleic Acids Res. 29, e39]. This uses synthetic oligonucleotides to which are attached a fluorophore (fluorescein) and a quencher (methyl red). These are positioned so that these groups are close together in a folded DNA structure, such as a quadruplex or duplex, thereby quenching the fluorescence. On increasing the temperature the DNA melts, separating these fluorescence groups and there is a large increase in fluorescence. These experiments are performed on the Roche LightCycler, allowing us to examine 32 samples in parallel, using only small volumes (20 µL) of dilute oligonucleotides (0.25 µM). Structure and properties of “sticky DNA” formed by GAA repeats. One means of achieving precise DNA sequence recognition over several base pairs involves the formation of intermolecular DNA triple helices. We are studying the structure of DNA quadruplexes in linear and supercoiled DNA and are examining their effects on gene expression when they are located in promoters. We are using the footprinting technique with natural and synthetic DNA substrates to study the sequence selectivity of novel DNA binding small molecules. We are exploiting the formation of DNA triplexes as a means for generating new DNA nanostructures. We are generating mutants of this DNA repair enzyme, which have altered recognition properties, and are using these as tools in biotechnological applications. We are part of this BBSRC-funded sLoLa project, led by Prof Tom Brown (Chemistry), and are using click-chemistry to generate unusual DNA structures and examine their biological properties. James, P. L., Le Strat, L., Ellervik, U., Bratwall, C., Norden, B., Brown, T., & Fox, K. R. (2004). Effects of a hairpin polyamide on DNA melting: comparison with distamycin and Hoechst 33258. Biophysical Chemistry, 111(3), 205-212. Day, I. N. M., Alharbi, K. K., Smith, M., Aldahmesh, M. A., Chen, X. H., Lotery, A. J., ... Rodriguez, S. (2004). Paucimorphic alleles versus polymorphic alleles and rare mutations in disease causation: Theory, observation and detection. Current Genomics, 5(5), 431-438. Assenberg, R., Weston, A., Cardy, D. L. N., & Fox, K. R. (2002). Sequence-dependent folding of DNA three-way junctions. Nucleic Acids Research, 30(23), 5142-5150. Brown, J., Brown, T., & Fox, K. R. (2001). Affinity of mismatch-binding protein MutS for heteroduplexes containing different mismatches. Biochemical Journal, 354(3), 627-633. Keppler, M. D., Neidle, S., & Fox, K. R. (2001). Stabilisation of TG- and AG-containing antiparallel DNA triplexes by tripler-binding ligands. Nucleic Acids Research, 29(9), 1935-1942. Fox, K. R. (2000). Targeting DNA with triplexes. Current Medicinal Chemistry, 7(1), 17-37. Fox, K. R., & Brown, T. (Eds.) (2012). DNA conjugates and sensors. (Biomolecular Science Series). London, GB: Royal Society of Chemistry. Fox, K. R. (Ed.) (2010). Drug-DNA interaction protocols. (Methods in Molecular Biology; No. 613). New York, US: Humana Press. Rusling, D. A., & Fox, K. R. (2012). Small molecule-oligonucleotide conjugates. In K. R. Fox, & T. Brown (Eds. ), DNA Conjugates and Sensors (pp. 75-102). (Biomolecular Science Series). London, GB: Royal Society of Chemistry. Smith, M. J., Alharbi, K. K., Aldahmesh, M. A., Pante-de-Sousa, G., Hou, G., Chen, X., ... Day, I. N. M. (2004). MADGE-based technologies for identification of unknown mutations at the population level: MeltMADGE and EndoVII-MADGE. In K. H. Hecker (Ed. ), Genetic Variance Detection: Technologies for Pharmacogenomics (pp. 145-152). (The Nuts & Bolts Series). Glendale, US: DNA Press.